When a child starts preschool, they are invited into a whole new world of learning and exploration. 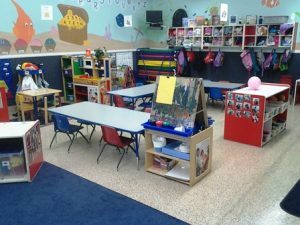 The preschool environment is a place where they begin to learn the basics of what they will later learn in grade school. The preschool curriculum includes learning the alphabet and simple reading, learning to play and interact in groups, and exercising creativity in arts and crafts. In addition to crafts and the learning that goes on in socialization, preschool children are introduced to math and number. Preschool math is designed to introduce the children to the concept of number, comparisons and the many ways that number is used in daily life. The Preschool Classroom is where children first learn math! As education becomes more focused on math science and technology, it is important that children are introduced to numbers and become comfortable using them. While preschool math curriculum doesn’t guarantee that your child will be a math wiz, they will enter kindergarten and grade school with a solid foundation in math and the various ways it is used. Watch Me Grow North Las Vegas prides itself on its commitment to ensuring that your preschooler is getting the quality education they deserve. With our accredited curriculum and professional staff, your child will receive quality preschool education in a nurturing and safe environment. Come check out our programs and contact us today!